Remember how I said I blog about books on Fridays? Well, not this month! 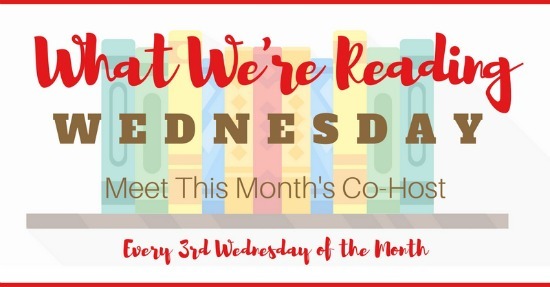 Today I’m one of the guest hosts for Steph’s What We’re Reading Wednesday link-up. First, you can find out a bit about me and the other guest host and then I will share what I read recently! 2. What’s the longest book you’ve ever read? A very long time ago I read Les Miserables (1488 pages). 3. Which author is your go to when looking for a new book to start? I don’t think I have one. I love Jodi Picoult, but I’ve already read all of her currently released books! 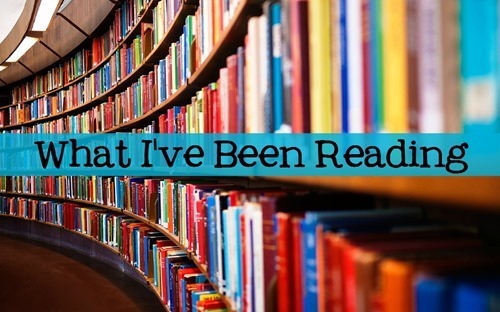 Read Dara’s January book recap here: What I’ve Been Reading (See Below)! 1. What is the one book from your 2017 READ shelf that you’d recommend to a friend? The Woman in Cabin 10 for a fun suspenseful thriller and Small Great Things if they want to be more engaged with the book as it deals with race relations in our nation. 2. What’s the longest book you’ve ever read? Mists of Avalon in 8th grade. It is 867 pages. If I had read the Lord of the Rings Trilogy in one volume it would win at 1216 pages. 3. Which author is your go to when looking for a new book to start? Sherrilyn Kenyon is my favorite author and since she writes three main series there is always a new book to grab. 1. What is the one book from your 2017 READ shelf that you’d recommend to a friend? Bright Side by Kim Holden. I love the story, the way Holden writes, her storytelling grabs you. 2. What’s the longest book you’ve ever read? The Goldfinch by Donna Tartt. It’s 771 pages long. At times, I wanted to give up. It’s a long book, very detailed and at times confusing. But I am so glad that I stuck it out. It’s a fantastic book. 3. Which author is your go to when looking for a new book to start? Jojo Moyes. Without a doubt. I’ve never read a novel by her that didn’t leave me wanting more. Her best book? Me Before You. I actually read this book last month, but I didn’t get around to reviewing it yet! The Astronaut Wives Club was my book group’s pick for this month’s discussion. We were supposed to meet last week, but so many people were unavailable that we postponed the meeting to next week! I actually did not realize at first that The Astronaut Wives Club is a non-fiction book, so it marked the second non-fiction book I read in 2017. I am sure that those who were growing up during the early 60’s would have known about these women, but I knew very little about the astronauts, much less about their wives. Of course, I’d heard of John Glenn and Buzz Aldrin, Neil Armstrong and John Shepard, but not many of the others. These women had to stay at home and watch as their husbands launched themselves into space. What’s interesting is the communication that did have – even though currently there is more technology in an iPhone than there is in the space shuttles they launched to the moon, there was still a live broadcast and communication from space. In fact, the space program enhanced the technology we have today. I never quite understood why the space program ended, but this book made me see how dangerous it actually was. It seems like with the technology we have now, it would make more sense for a program like this to exist in this decade! While I found the information in the book to be interesting, I really prefer reading novels and I wished that this was written a bit more like a novel, rather than like an interview or a long newspaper article. Many reviews seem to agree that there were too many women to focus on here and it was difficult to keep everyone straight. I think there was too much generalization in writing about all of the women as if they were one and the same – which is actually how NASA tried make them appear. As the face of the program, the women had to appear perfect and in control at all times. One sad aspect that was described was the infidelity that took place. As the men were away from home much of the time, they seemed to believe that affairs were acceptable. Many of the marriages ended in divorce, once NASA allowed the couples to divorce. As far as a club, the women were sometimes cliquey and not always kind, but when there was a space accident, they supported one another greatly. I imagine being an astronaut would be one of the world’s most dangerous jobs. However, the women that stood beside the men as they had a great time flying their planes, being reckless, and exploring space were the ones who were actually brave. 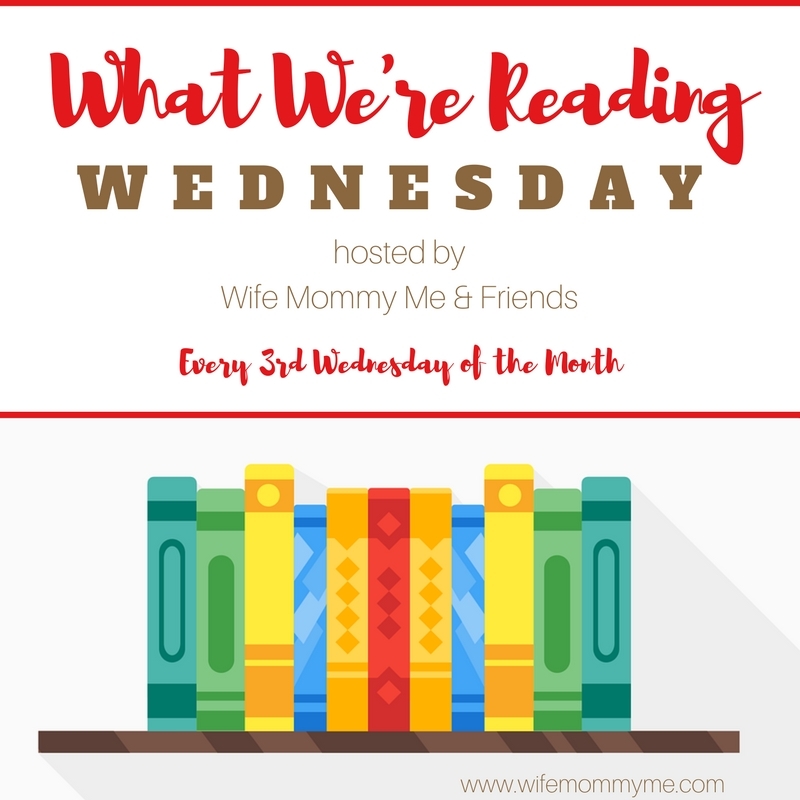 Thank you for joining us for What We’re Reading Wednesday! Now, add your link and join us!